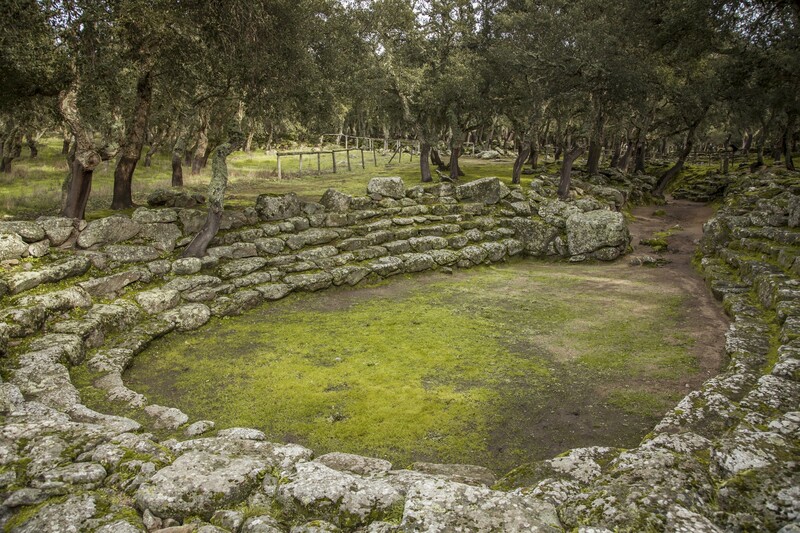 Size, complexity and architectural originality of the dwellings and of the places of worship are the features of a priceless heritage of Nuragic Sardinia. The village-sanctuary of Romanzesu stands on a plateau in the locality of Poddi Arvu, in a forest, near the source of the river Tirso. It is part of the territory of Bitti, which is 13 kilometres away, and it extends for seven hectares. All in granite, it includes about one hundred huts, many hidden by the trees, and various buildings of worship: a shaft temple, with a stepped amphitheatre, two with a megaron, one rectangular, one heeron (with amber artefacts) and a mysterious maze. The name of the place comes from the Roman settlement of the 2nd-3rd century AD. The first information on this site is dated 1919: it was discovered by the archaeologist Antonio Taramelli. Seven excavations that took place at the end of the 20th century have brought us fragments of pottery, bronze and lead. 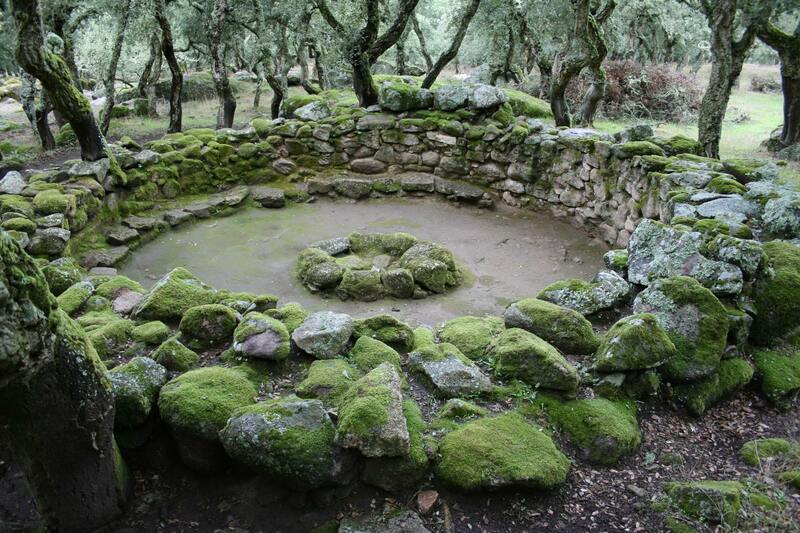 The monumental heart is the shaft temple (13th-14th centuries BC) and spring water gushes from its fissures. 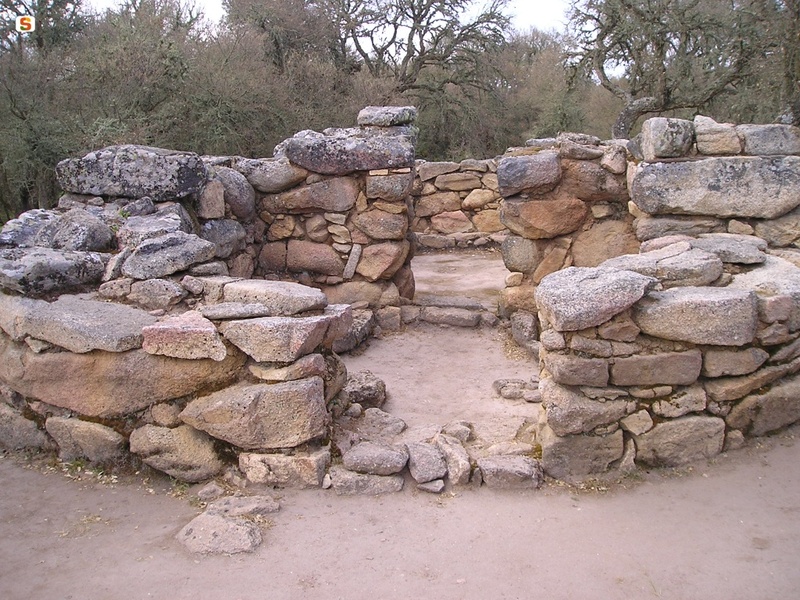 It has entrance steps, a room with a floor and a counter-seat along the wall. It is connected via a corridor over 40 metres long to a circular paved tank, a ceremonial basin in which water was collected. Around it, there are six wide steps of an amphitheatre, where you can imagine the village population crowding in and involved in the collective rituals of the water cult: ablutions and political-religious ceremonies, including trials by ordeal (requests for divine intervention in order to judge crimes). Alongside, three granite baetyluses symbolizing the divinity were found. Near a megaron temple, you will notice an oval enclosure, within a series of concentric spiral walls, that lead, via a labyrinthine path, to a central room: here, a pedestal supported a cultic object. 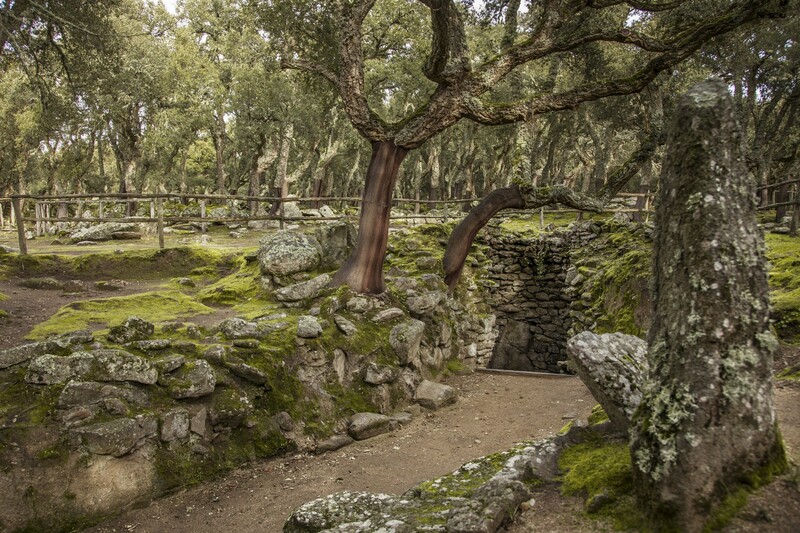 The maze, perhaps the hut of the sorcerer priest, dates back to the 13th-14th century BC, while the village is of an earlier period: the pottery found in the huts date back to the 16th century BC, so in the beginning the spring was only used as a water supply. The huts are circular, with a paved floor and seats placed around the fireplace. Some are very spacious, with niches and internal dividing walls and one even has three rooms that open onto a common courtyard. Complete the cultural tour in Bitti, a village arranged as an amphitheatre around the church of San Giorgio Martire, with a visit to the Museum of Rural and Pastoral Civilization, inside which there is the multimedia museum of Canto a Tenore, dedicated to polyphonic singing, a UNESCO heritage site, that has made Bitti famous throughout the world. From Nuoro drive along SS 389 towards the industrial area of Prato Sardo. Cross SS 131 and head for Bitti. Continue along SS 389 heading to Buddusò and take a right turn at km 54.2. Continue for 1.9 km following the signs till you reach the parking area.